Traditional quality from Hansa. Toys that teach. Hand made in small lots. Poseable for play or display. 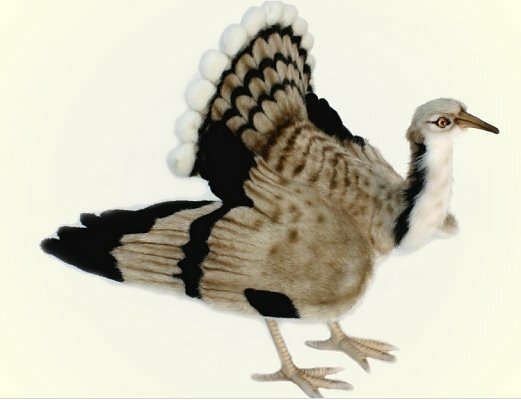 The Houbara Bustard has a flamboyant display, raising the white feathers of the head and throat and withdrawing the head. Two to four eggs are laid on the ground. It hardly ever uses its voice. It is widely prized in Arabia as a quarry for falconers. Widespread hunting and loss of habitat have greatly reduced numbers.